Powertrain: 3.5-liter V-6 with 280 horsepower and 262 pound-feet of torque, bolted to a nine-speed automatic transaxle. Front-wheel-drive (FWD) is standard, i-VTM4 all-wheel-drive (AWD) is a $1,900 option on all trims but Elite, where it's standard. EPA Fuel Economy: 20 mpg city, 25 highway, 22 combined (FWD). 19 mpg city, 24 highway, 21 combined (AWD). 16 mpg in limited testing on a trail. 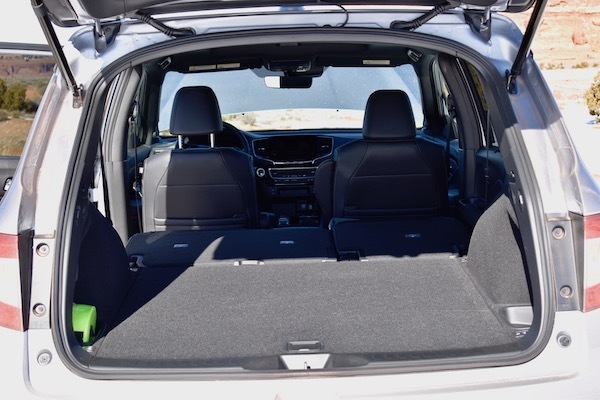 Cargo Space: 41.2 cubic feet with rear seats up, 77.9 with seats down. Extra 2.5 cubic feet in "basement" underneath floor. Quick Take: The Passport could be more refined, but it'll take you anywhere you want to go in safety, and entertain along the way. Last seen in 2002 as an incognito Isuzu Rodeo, the Honda Passport is back for the 2019 model year. 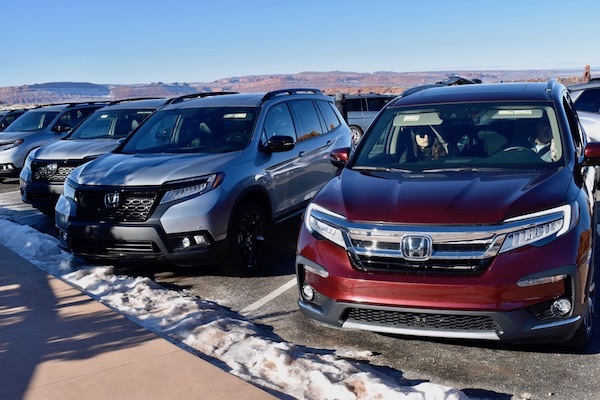 The old model was originally dropped in favor of the first Honda Pilot, so it's kind of ironic that the new one was born from today's version of the automaker's family SUV. The pair share a chassis, V-6 powertrain, and similar designs. But the Honda Passport is different: it's a two-row, five-seat CUV that works as an efficient, safe commuter and moonlights as something of an off-roader. 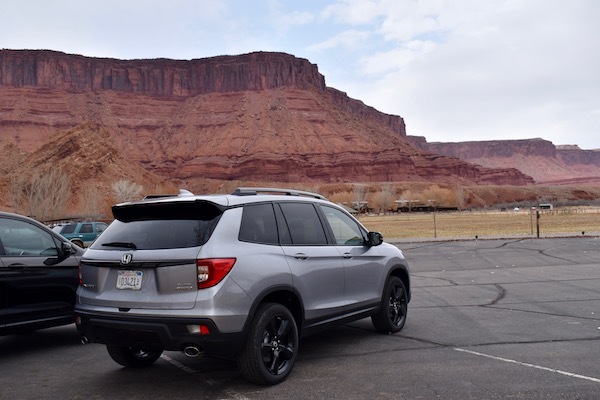 I swung by Moab, Utah—a Mecca for playing in the dirt—for a day with a 2019 Honda Passport Elite AWD to see how it handles the civilized world, as well as what lies beyond. As is true of both cars and people, appearance makes the strongest first impression. From the front, the Passport closely resembles the Pilot, and by extension the Ridgeline pickup too. Some joke that the Passport looks like the last Ford Explorer—they're not wrong, especially when it comes to the triangular tail lights. Just like every other crossover on the market, the Passport wears black plastic cladding along the bottom of its bodywork, which tricks the eye into seeing more ground clearance than is actually there. It's not an ugly vehicle, but it falls short of distinctive or rugged. Inside, the Passport is modest and functional with all major controls easily accessible—again, much is lifted from the Pilot here. 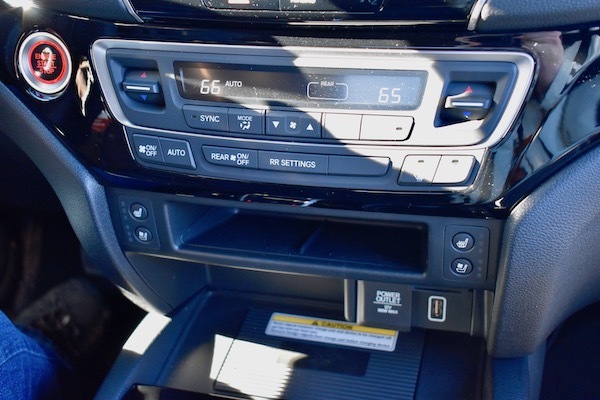 Either a 5-inch or 8-inch Display Audio infotainment system will greet you depending on trim level, all equipped with Apple CarPlay, Android Auto, and a blessed volume knob. Wireless charging and wired USB connectivity will keep your phone ready and charged. Leg room is ample in both the front and rear seats, even for the increasingly common Large-Waisted Homo sapiens. A raised roofline guarantees the same for those tall in torso. On EX-L models and up, all seats are trimmed in leather. Both front row seats are wanting for more thoracic support, though, upholstered in material that's on the slick side for something that's supposed to hold passengers in place during off-road excursions. It'll jiggle them on the road too, because the Passport Elite doesn't ride as well as one would hope of a vehicle that costs $44,725 delivered. But more on that in a minute. 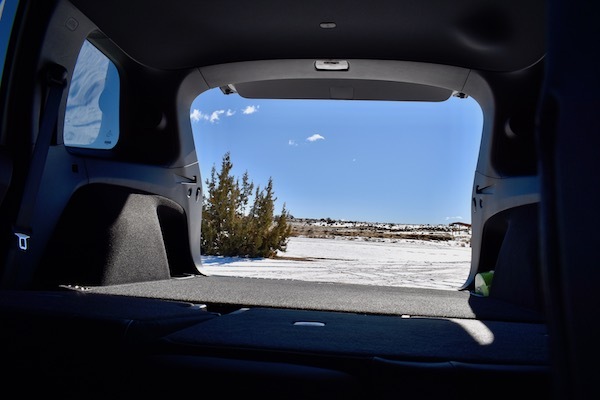 Drown out the strangely excessive wind noise in the cabin (possibly attributable to the fact we were driving pre-production models) with the 2019 Honda Passport's audio system. Sound quality on the 10-speaker setup found on higher trims is good enough to make Thin Lizzy tolerable, and classical downright enjoyable. 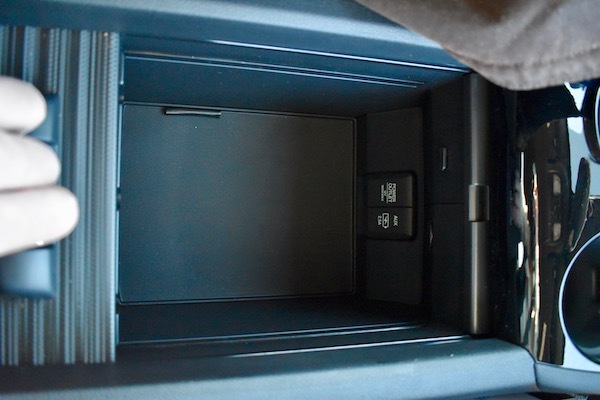 Put the latter on, and you can host a kindergartener's ballroom dance in the yawning 41.2-cubic-foot cargo area. Just make sure there's no Black Flag on that playlist, or those kindergarteners will rip up the floor, in the process discovering the extra 2.5 cubic feet of "basement" storage space. Even more room is unlocked by folding down the rear seats at the touch of a button if you're loading something heftier than a bag of chips—say, a small kayak. Honda loves you, but it knows you're not perfect, so it's gone ahead and fitted every Passport from the entry-level Sport to the top-shelf Elite with its Honda Sensing safety watchdog tech. 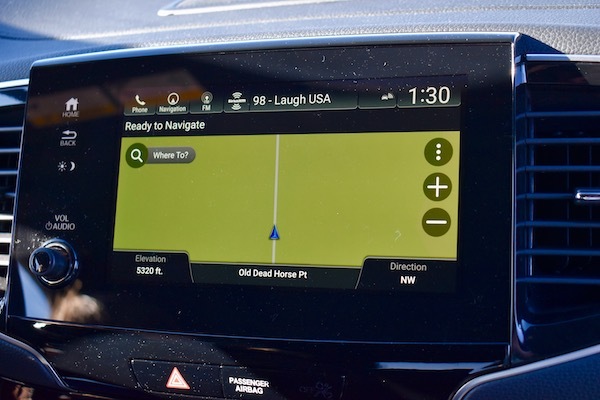 This system points sensors every which way to predict, avoid, or lessen the impact of crashes, and is one of the Passport's biggest selling points; many of its competitors don't come with similar tech like automatic emergency braking or adaptive cruise control as standard, if at all. Come 2022, the system will be on every Honda. 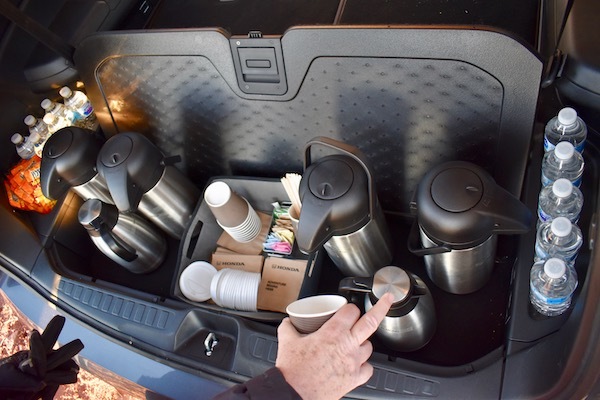 If your weekend toys are too big for the cargo hold, you'll be thankful that the 3.5-liter V-6 with 280 horsepower and 262 pound-feet of torque delivers a surprising tow rating of 5,000 pounds in the AWD Honda Passport (3,500 pounds for FWD). Acceleration with a payload of this size won't be impressive, as an unladen Passport doesn't knock any socks off even with just two people on board. Throttle and brake inputs still feel pleasantly analog, as you'd hope from a Honda, but the steering felt far from it, all fake and meaningless weight. Overall, it's perfectly decent to drive, save for a slightly-stiff ride that could be mitigated by better seats. Those power specs are do-the-job numbers, and the transmission does its best to stay conservative in order to crack 20 miles per gallon in most driving conditions. Even AWD models should get more than 20 mpg if you aren't driving in the city, where they'll return 19 mpg. Slight reduction in fuel economy doesn't just come with the boon of increased towing capacity, but also more off-road capability than is typically found in the segment. For $1,900, the optional i-VTM4 AWD comes with mild 0.8-inch lift over FWD Passports and a couple more than the Pilot. This is a true torque-vectoring system that sends the power to the wheels that have grip via a differential instead of braking, and it'll gladly show you the current distribution with a clever dash graphic. It's a novelty, obviously—off-road driving demands eyes-up attention—while the AWD system's terrain settings are far more meaningful. 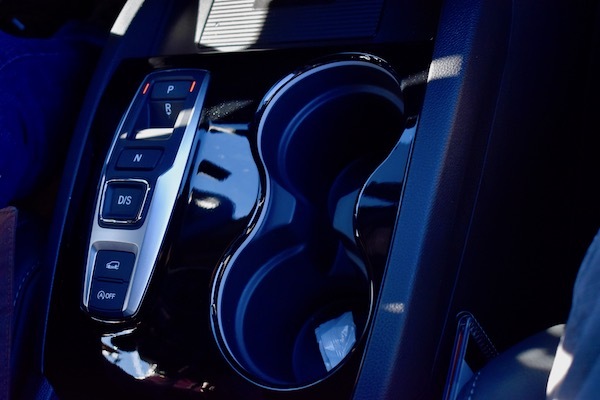 Four driving surface settings that alter traction control and powertrain behavior can be chosen with a button mounted behind the drive selector: Normal, Snow, Mud, and Sand, for the situations their names imply. Mud mode got the biggest workout during our off-road excursion, carrying the Passport safely across more than one shoe-sucking, rust-red bog. The 2019 Passport also bested a handful of small, flowing creek beds that crossed our path; Honda didn't say how high the engine's air filter was located, but chances are you'd hesitate to wade a Passport through anything deeper than a baby's bath. Honda talked of sporty driving dynamics, and of 70 percent of torque going to the rear axle. This warranted an attempt to make the Passport do donuts, but the result was a circle of understeer, even with traction control off. 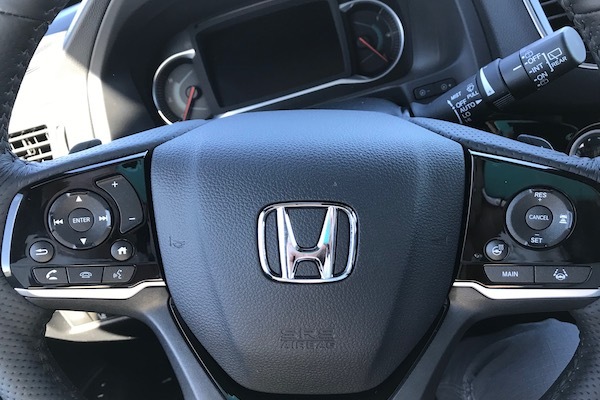 A Honda employee said that the traction control button only partially disables the program, and that there was a Konami code to fully shut it down. Unfortunately, he was sworn to never reveal it. There are sacrifices to be made when building an all-rounder vehicle like the Honda Passport, and those sacrifices appear to have been made in the refinement department. Its driving dynamics need another couple months in the barrel, and one wouldn't guess as a passenger that they were sitting in a vehicle that cost nearly $45,000 delivered. The off-road chops are impressive for the form; problem is, they're not impressive enough to overlook the Passport's on-road deficiencies. Entries like a similarly-equipped Jeep Grand Cherokee or Toyota 4Runner are more expensive, but also far more capable. 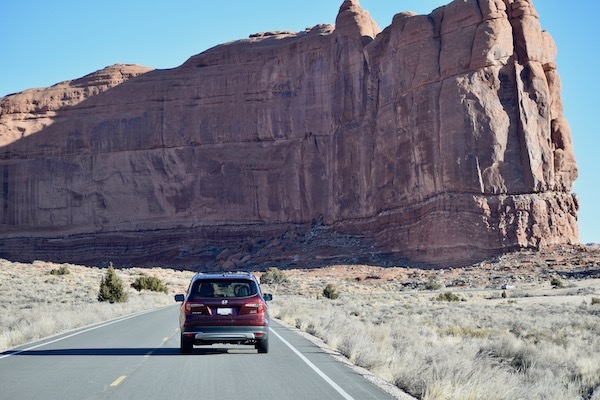 Still, the Passport has tricks up its sleeves: accessible safety tech, a well thought-out (if vanilla) interior, and that famed Honda reliability, all of which deliver a certain peace of mind even in a place as famously rugged as Moab. A lifted Isuzu Rodeo will outpace it over seriously rough terrain—but given time, the 2019 Honda Passport will catch up, as the determined younger sibling always does. Teamwork makes the dream work when a much larger vehicle gets stuck.